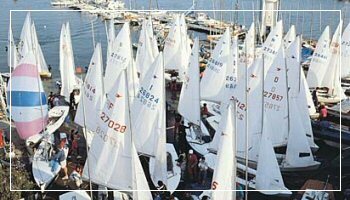 Great sailing event in Sanremo during the Winter season: between November and January there will be the 28th West Liguria Winter Championship, GrandHotel del Mare Trophy. It’s an open competition for all boat categories which will last for 5 consecutive weekends. It’s one of the most prestigious races of the Sanremo Yacht Club, with the participation of over 70 sailboats, offering high sea competitions even in the middle of Winter time. The first regattas took place on November 12th and 13th, then on November 26th and 27th, going on to December 10th and 11th, while on January 2012 the regattas will take place on the 14th and 15th and 28th and 29th. At the end of the year the “26th International Meeting of the Mediterranean” will take place from December 28th to the 30th, Optimist class for kids from 8 to 15 years of age. It’s a classic Holiday Season race dedicated to all the younger high sea and sailing fans.